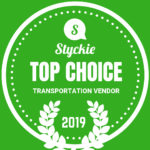 November 2018 - American Limousines, Inc. Owned by the Sultan of Brunei, the most expensive limousine in the world cost $14 million and is 24 karat gold plated. Of course, there are plenty of affordable limos and limo rental services available, and you don’t have to shell out millions to enjoy the luxurious experience that comes with any limo ride. ‘Why rent a limo,’ you’re wondering? There are countless reasons — weddings, birthdays, corporate events, and more. But before researching limo rental companies, you should be aware of some mistakes that could serve as potential setbacks along the way. 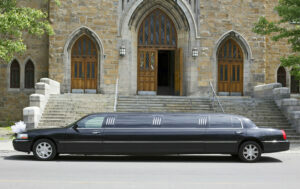 With that in mind, here are just a few common and costly mistakes to avoid when renting a limo. As is the case with any considerable investment or rental, it’s important to make sure you’re aware of what you’re getting before signing any agreements or contracts. Ask the limo rental companies you’re interested in to tour the insides of each of the different models they have available based on your party size and needs. Make sure you also know whether or not the vehicle you saw is the same one you’ll be renting for your event. It should also come as no surprise that waiting too long to look at rental companies and rates can lead to disappointment. Limo services often get booked long in advance, especially during the busy seasons, like prom season, the summer wedding season, and the holiday season. You can never be too early when it comes to researching prices, availability, and features. In addition to comparing features, it helps to answer preliminary questions the rental company may ask to better understand your needs. These questions may include things like, ‘why rent a limo?’ or ‘how many people do you need accommodation for?’ It helps to have these details ready to get a more accurate price estimate. There are more than 130,000 limousines currently in service around the country, and the majority provide nothing but professional and luxurious service. Still, avoiding these mistakes can save you money and time during the search process. For more information about limo or party bus rentals, contact American Limo. If you’re planning to rent a limo for an upcoming special event, it’s essential to do your research. You might be inclined to book with a company based on mere name recognition or proximity alone, but that won’t always tell you everything you need to know to have a great limousine rental experience. 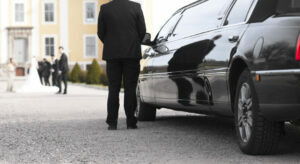 More than likely, the company you choose for limo services will be well-regarded. But any company that exhibits the following signs isn’t a business you should work with. When you reserve a limo rental, you should obtain peace of mind that you will arrive to your destination safely. Your limo service should, at bare minimum, be able to provide proof of insurance and licensing for their drivers. Many customers assume that any limo business will have these automatically. But the sad truth is that there are some unscrupulous people out there who would rather try to cut corners and deceive than go through the required processes. You’ll need to make sure for yourself that you’ll be protected during your trip. Any limo company worth its salt will be happy to provide proof of their certifications right away. Every limo rental company operates a bit differently, so not every service can be considered ubiquitous. But one thing you should always have is the freedom of choice. As long as you’re booking with more than enough time to spare, you should at least be able to control the time of your pick-up and the type of vehicle. A limo company that’s totally unwilling to meet your needs from the start may end up being even more difficult to work with in the long run. Renting a limo is a treat, so you shouldn’t be made to feel like you have no say in your experience. Not every company is going to have 20 or more cars for you to choose from — but all of their vehicles should be in excellent shape. Approximately 60% of limousine service companies have fewer than five vehicles in their fleet. You’ll want to make sure that all of them are in great condition. Outdated vehicles can indicate a lack of overall care and could even present safety hazards for passengers. Believe us, you won’t want to deal with car troubles on your wedding day or have your experience tainted by strange rattling noises in your supposed luxury car. Go check out the vehicle fleet in person before you sign a contract to make certain everything is in order. Simply put, your limo driver should be a consummate pro. You shouldn’t be worried about their appearance or their behavior. You also shouldn’t have to be concerned about whether they know the correct way to navigate to a given location. A limo driver that makes a wrong turn and ends up in a traffic jam could end up costing you more in the end. And while just about everyone relies on their phone’s GPS app these days, it’d be preferable for your driver to already be familiar with the route; that way, your conversations wouldn’t be interrupted by a robotic voiceover indicating where to turn. While you may not know who your driver is ahead of time, you can certainly inquire with your limo rental service about their hiring processes, how long their drivers have been with the company, and their general policies pertaining to professionalism beforehand. With any type of business, it’s important to consider their level of customer service before hiring. If they’ve exhibited poor communication skills (e.g., unanswered emails or voicemails, disrespect towards customers, vague answers to questions), you should probably look elsewhere. When your inquiries are ignored early on in the process, it’s never a good sign. Reputable limo rental companies understand how important stellar customer service is. Don’t waste your time on a business that doesn’t. If you observe these red flags, don’t sign on the dotted line; instead, walk away and find a company that will actually serve your needs. To learn more about our services and how we can make your next occasion even more special, contact us today. Kids: they grow up so fast, don’t they? You might vividly remember bringing your daughter home from the hospital, and it seems like only yesterday that she was headed off to her very first day of school. But time has flown by and now she’s nearly 16 years old. In many circles, it’s traditional to celebrate this milestone birthday with a bang. 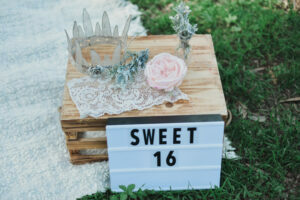 While there are some parents who are willing to spend thousands on their little girl’s sweet 16 party, most families have more realistic expectations. You’ll want to make this day extra special for her — without going into debt yourself. As long as you cover the basics and make sure her party celebrates everything about your daughter, you’ll be able to throw her a party she’ll never forget. Here are the must-haves for any truly sweet 16. Pick an awesome venue: You don’t necessarily have to book the Plaza to make a great impression. The venue of your choosing can be a local hotel, a movie theater, a favorite restaurant, a local park, or even a nice community center. Wherever you decide to throw the party, make sure you book the venue well in advance. Aim for at least six to eight months ahead of time. That will ensure you won’t have to scramble or settle for your last choice. Finalize the guest list: The reason you decide on a venue first is to ensure the entire guest list can fit inside. If there’s a strict seating capacity, you and your daughter may need to make some tough decisions about who to invite. And even if the venue can comfortably hold hundreds, you’ll probably want to encourage your kiddo to narrow down her choices. She might feel a lot of pressure to invite everyone in her class, but it’s usually best to keep the guest list limited to those who genuinely get along and who won’t cause any drama. Decide on food and entertainment: Food choices (and quantity!) will prove important for teens. That said, you don’t have to go all-out like you would with a wedding. Food choices can be fairly simple and universally appealing. Lessen the potential mess by ensuring most items can be eaten standing up, without utensils. Hamburger sliders or food served on sticks can work well, as can chips and dip, pizza, veggies, fruit skewers, or other small appetizers. For a fun twist, you can serve mocktails or have a sundae bar. You’ll also want to make sure the guests are entertained. You might consider hiring a DJ or even a live band. Many parents will plan to have a sweet 16 at a bowling alley or at a skating rink to ensure the activities are built-in and that no one will be bored. Reserve your limo services: No matter what, you’ll want your daughter to arrive at her sweet 16 party in style. There’s no better way to accomplish that than by renting a limo or securing a party bus rental. If you opt for a party bus, you may be able to offer all attendees a ride. But while limo drivers make approximately 105 trips every week, the seating capacity of these vehicles is typically less. Renting a limo or party bus can add a sense of occasion and excitement. Even if you’re only traveling 10 minutes away from home, being picked up in a limousine will definitely make your daughter and her closest friends feel truly special. As an added bonus, renting a limo can also provide peace of mind for parents. Interested in renting a limo for your teen’s birthday party? We’ll pull out all the stops to celebrate. For more information, contact us today! November is here, which means it’s time to start thinking about setting the table, cooking the turkey, and entertaining your nearest and dearest on Thanksgiving. While you’re probably eager to make plans about what you’ll serve and where your guests will stay, you might be inclined to forget to think about how you’ll all get around. It may seem obvious — take your own car or their rental vehicle! — but is that actually the best choice? At a time when the streets are congested and everyone is busy celebrating, accidents are more likely to happen. If you want to stay safe and sane during the Thanksgiving holiday, you might want to consider a limo rental instead. Why rent a limo during this time of year? Here are three good reasons. You’ll be free to party before the holiday: As you may be aware, the night before Thanksgiving is a popular time to head out to your local bar and celebrate with friends from both near and far. The last thing you want to worry about is making sure you have a designated driver who can avoid all of the potential hazards (as well as the increased police presence) on the road. When you opt for limo services, you’ll have peace of mind that everyone will get home safe and sound at the end of the night. Plus, with more than more than 130,000 limousines currently in service around the country, securing this transportation ahead of time will allow you to avoid price hikes and vehicle shortages from ride hailing companies. You can shop ’til your drop: The day after Thanksgiving is also notorious for a specific kind of chaos. We’re talking about Black Friday, of course. If you plan to head out to the shops and spend like there’s no tomorrow, you shouldn’t have to experience more anxiety than necessary. Even finding a place to park or avoiding a fender-bender can be a real challenge with so many people looking for the best deals. Why rent a limo? You’ll be able to avoid dealing with other motorists yourself and can easily go from one store to another without the headache. While your limo driver can’t control the crowds inside, they’ll at least be able to provide a smooth ride outside. And as a bonus, you’ll have plenty of room for all of your shopping scores in your spacious vehicle. You can secure airport transportation: When you’re hosting Thanksgiving at your home, you’ll have to coordinate travel schedules for all of your relatives. Although you couldn’t be more thrilled that your family members are coming together to celebrate, having to juggle all the cooking with airport and train pickups can be a real challenge. But if you rent a limo, you’ll be able to check that task off your list. No one wants to navigate the holiday traffic, especially in a new place. Save your relatives the stress of driving themselves and opt for limo services for transport, instead. It’s the perfect way to welcome your loved ones and make sure they arrive in plenty of time for the festivities — or to send them on their way in style and make certain they make their return flight. 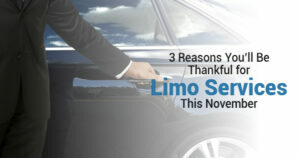 Why rent a limo this Thanksgiving? In short, it’ll provide both you and your guests with valuable peace of mind (and a bit of extra excitement, too!). To find out more about renting a limo during the holiday season, please contact us today.